The premier international travel and tourism event of 2018. Meet and hear from experts and top executives from our industry’s leading organizations, as well as Visit Seattle’s international representatives from Australia, China, France, Germany, Japan, South Korea, and the UK (under the leadership of the Port of Seattle). Gain valuable insights into the latest trends, research, and marketing tactics from thought-leaders in the travel and tourism industry. Our destination’s representatives from around the world will provide market-specific overviews, key trends, insights on current competition, and introduce opportunities available to our partners. Featuring a full day of programming, the Seattle-Global Tourism Summit will provide you with unparalleled access to industry leaders, topical panel discussions, and market-specific overviews. Visit Seattle’s international representatives will also be available for one-on-one discussions during the afternoon networking reception. Click here to email or call Kate Kurkjian at 206.461.5846. Eagle Yi is responsible for WeChat Ecosystem expansion at Tencent America. 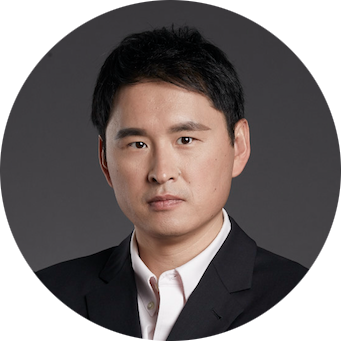 He is in charge of key account management, strategic partnership development, being an evangelist for the WeChat platform and its applications, and enabling cross border WeChat Pay through partners and channels. He has over 17 years of experience and expertise in the technology industry. Before he joined Tencent America in 2011, Eagle worked at Telegent, Intel, and FedEx in various mobile, internet product, and solutions development management roles. Eagle has a Bachelor’s Degree from Tsinghua University, a Master’s Degree from National University of Singapore, and also studied in the Ph.D. program at UC Santa Cruz. Tony Gonchar is Delta Air Lines’ Vice President-Seattle, charged with developing and driving Delta’s key strategic objectives for Seattle and the Pacific Northwest including financial performance, marketing, commercial sales, sponsorships, community relations and the customer experience at Sea-Tac. He is also involved in Delta’s state and local government affairs. A travel executive with more than 30 years of experience, Tony joined Delta in 2014 as the Director – Global Sales, responsible for all Corporate and Agency National Accounts in Seattle, Delta’s fastest-growing hub. Tony’s stewardship of Delta’s corporate and agency portfolio led to industry-leading share performance gains during his tenure. 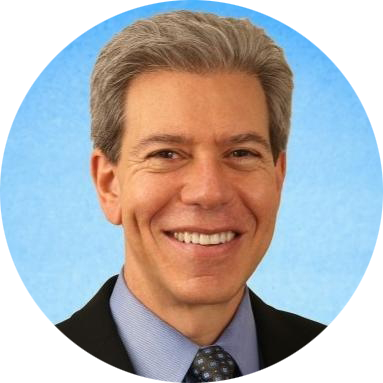 Prior to joining Delta, Tony served as the American Express Vice President for the Consumer Travel Network, a $5 billion consortia of agencies, where he delivered a new strategic platform for redefined competitive positioning, resource reengineering, new program design and implementation, business development, marketing and public relations. Anne Farrar, Director of Photography for National Geographic Traveler, believes in the power of visual storytelling to serve as a call to action and a catalyst for change within the travel and tourism industry. Her work is guided by the National Geographic mission to explore the planet, protect and preserve our natural and cultural heritage, and share powerful visions of the world through photography across platforms. Prior to joining National Geographic in 2015, Anne was a senior photo editor at The Washington Post. She has worked as a photo editor and designer at many of the best photojournalism newspapers in the country, including The Dallas Morning News, Minneapolis Star-Tribune, and the Daily Southtown. As a photo editor at the The Dallas Morning News, Anne was part of a team that was awarded the Pulitzer Prize for coverage of Hurricane Katrina. Her work at National Geographic has received numerous awards from the Society of Publication Designers, the North American Travel Journalists Association, and the Society of American Travel Writers. 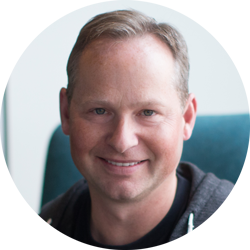 Prior to his appointment to the position of President and CEO of Expedia Group in August 2017, Okerstrom served as the company’s Executive Vice President of Operations and Chief Financial Officer, overseeing all aspects of finance, corporate strategy, M&A, and Expedia’s eCommerce Platform Group. He first joined the company in 2006, and in 2009 he was appointed to the position of Senior Vice President and Head of Expedia Corporate Development and Strategy Group where he led Expedia’s global M&A activity around the world. In 2012 he was appointed Chief Financial Officer and added all Global Finance functions to his areas of responsibility. In 2014 he was elevated to the position of EVP of Operations and CFO, adding oversight of Expedia’s eCommerce Platform team to his remit. Prior to joining Expedia, Okerstrom was a consultant with Bain & Company in Boston and San Francisco, and worked for UBS Investment Bank in London. Prior to that, Okerstrom practiced as an attorney with the global law firm of Freshfields Bruckhaus Deringer in London. 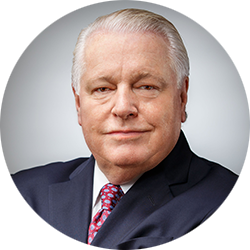 Roger Dow is president and CEO of the U.S. Travel Association, the Washington, D.C.-based organization representing all segments of travel in America—an industry that generates $2.3 trillion in economic output and supports 15.3 million jobs. U.S. Travel’s mission is to increase travel to and within the United States. Under Dow’s leadership, U.S. Travel has been recognized as one of Washington’s top places to work by both the Washington Post and Washingtonian magazine two years in a row (2015 and 2016). As the CEO of Lieb Management, Ralf is completely dedicated to the tourism industry. His tourism career began in 1988 and since then, he has gained broad expertise through work for travel agencies, a well-known tour operator and finally, over the past 20 years, in destination marketing representation. With the ambition of providing his clients with very individualized service and efficient European representation, Ralf followed his passion and founded his own company, Lieb Management, in 2009. 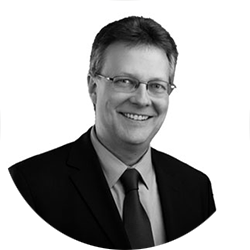 His experience and reputation enables Ralf to provide qualified, personal service as well as dynamic solutions together with a creative and dedicated team. Marjorie Dewey founded Advance International, which became connectworldwide Japan in 2010. Marjorie is a recognized leader in the Japanese travel and tourism industry with a career spanning 30 years. During the course of her career she has represented several global hotel chains and 18 of the 50 U.S. states. 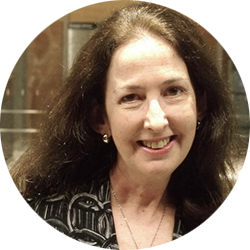 Marjorie has served as chairman of ANTOR (Association of National Tourism Office Representatives) and the Japan Visit USA Committee, served as a director of numerous professional and trade organizations, and as advisor to the Japan Association of Travel Agents. CWW Japan was the connectworldwide Agency of the Year in 2007 and 2014 for Marjorie and her team’s work on behalf of clients. Marjorie is a graduate of Georgetown University’s School of Foreign Service. Marjorie has represented Visit Seattle in the Japan market since 2002. 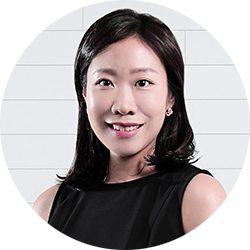 Irene Lee is recognized in Korea as a leading destination marketing and public relations specialist on behalf of overseas destinations. Irene’s career began with the Guam Visitors Bureau office in Korea where she was responsible for managing travel trade marketing and public relations activities for six years. During her tenure, Irene increased Korean visitor arrivals to Guam more than six-fold. In 2004, she established the Korea branch of the world’s largest tourism and aviation marketing and sales company, AVIAREPS. With over 20 years of experience in the field of outbound tourism and communications in Korea, she currently oversees all marketing and communications programs for the company’s world-class destination clients including Seattle, Alaska, California, New York City, Hawaii, Las Vegas, Marianas, Nevada, Dallas Fort Worth Airport, and Brand USA. A go-to expert resource in the destination marketing industry, Erin Francis-Cummings has spent the last nearly two decades studying travelers from across the globe and translating their evolving, complex and fascinating behaviors and opinions into marketing insights for Destination Analysts‘ 140+ clients. 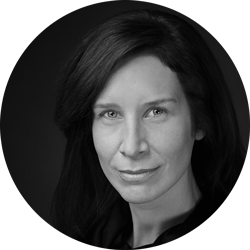 Erin has designed research strategy and facilitated consumer research for some of the world’s greatest destination brands-from Los Angeles to Washington, DC, Florida to California, Bermuda to the Fiji Islands. 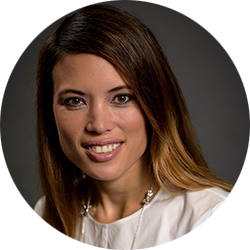 Erin currently serves on the international Board of Directors for the Travel and Tourism Research Association and is a frequent speaker for US Travel, Destinations International and at several other industry events. Prior to leading Destination Analysts, she held advertising and marketing management roles at Amtrak and the San Francisco Travel Association, and holds a Bachelor’s degree in political science from the University of California Los Angeles. An experienced media trainer and lecturer and a Fellow of the Royal Society of Arts with an honours degree in Psychology, Caroline Corfield-Rose runs the results-driven, boutique representation company Core Communications Europe Ltd providing full marketing representation for Seattle and Washington State in the UK, working for the Port of Seattle as their UK agency of choice. 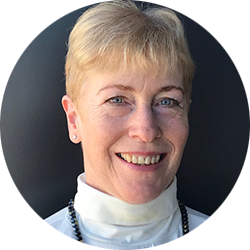 With over 25 years of experience in PR and marketing, and with a strong focus on the travel and transport sector, Caroline’s experience spans hotels, to airlines; tour operators to rail services; airports to tourism offices; and Government funded organisations to environmental NGOs. One of many Caroline’s notable achievements include her role as Communications Manager for the launch of the Heathrow Express rail service between Heathrow Airport and London in 1996-1997. She ran all communications and managed the VIP launch event with guests of honour, the Prime Minister Tony Blair, and Deputy Prime Minister, John Prescott. Alina Xiang has over 12 years of experience in the travel and tourism industry. During her career, Alina has built strong connections with Chinese trade partners, media, influencers, airlines and government partners. With keen insights and deep understanding of the Chinese outbound market, Alina and her team have created forward-looking and comprehensive strategies for this growing outbound market and significant projects for clients. Alina sits on the board of directors for the U.S Travel Association. 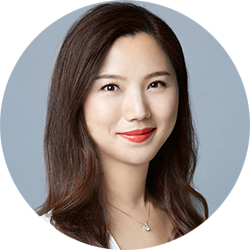 As a board member, Alina regularly communicates with leaders of the U.S tourism industry about inbound tourism trends and strategies, especially for the growing Chinese market. Barbara started her international professional career by joining in 1993 the London-based investment bank S.G Warburg, then in 1995 the English brand Gossard, of the Courtaulds Textiles Group. In 1997, Barbara integrated the Export Direction of Georges Rech, a Parisian and luxury Ready-to-Wear company. It was in 2001 that Barbara started her career at Amaury Sport Organisation, a company that organises international sporting events. There she was in charge of the public and press relations for the CEO and Managing Directors for 10 years. In 2011 Barbara was appointed Public Relations Manager, then in 2014 she was appointed Hospitality Manager of the 70 sport events of A.S.O. These events included the Tour de France, the Dakar, the Marathon de Paris, the Open de France de Golf, the Tour de France à la Voile, and many others. 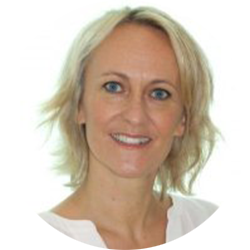 Barbara assumed the role of Managing Director of Express Conseil in September 2017. In addition to Visit Seattle, Experess Conseil represents destinations like Colorado, Arizona, Chicago, and Dallas. Sarah Anderson is the founder and managing director of GTI Tourism, an innovative tourism marketing agency providing integrated solutions for its stable of blue chip destination, leisure and corporate clients. With offices in Sydney, Australia and Auckland, New Zealand, GTI’s team of 25 provide consumer marketing, trade marketing, public relations, social media and business events services. 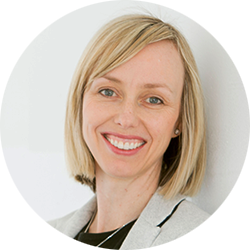 Sarah’s tourism industry experience spans 19 years, first representing Marriott as part of her PR agency client stable and then as in-house Communications Manager for Australia’s largest travel wholesale group, The Travel Corporation. A five year stint in the United Kingdom saw her direct pan-European destination marketing campaigns for South Pacific and African destinations and undertake the UK Marketing & Global PR role for leading youth operator Contiki Holidays. She founded GTI in 2006. Awarded by Travel Weekly as Mentor of the Year in 2016, Sarah’s passion for her team and clients drives her. She is also an advocate for sustainable tourism and sustainable development.